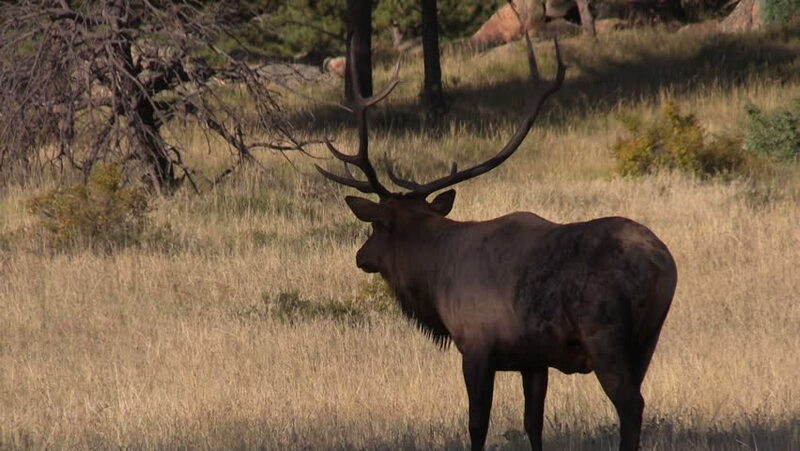 4k00:18Bull elk licking and sniffing the hind quarters of a female during the rutting season. Yellowstone National Park, Wyoming and Montana, USA. 4K. 4k00:15Big bull moose with large antlers looking towards camera with golden autumn colors. Wide shot. Grand Teton National Park, Wyoming, USA. 4K.